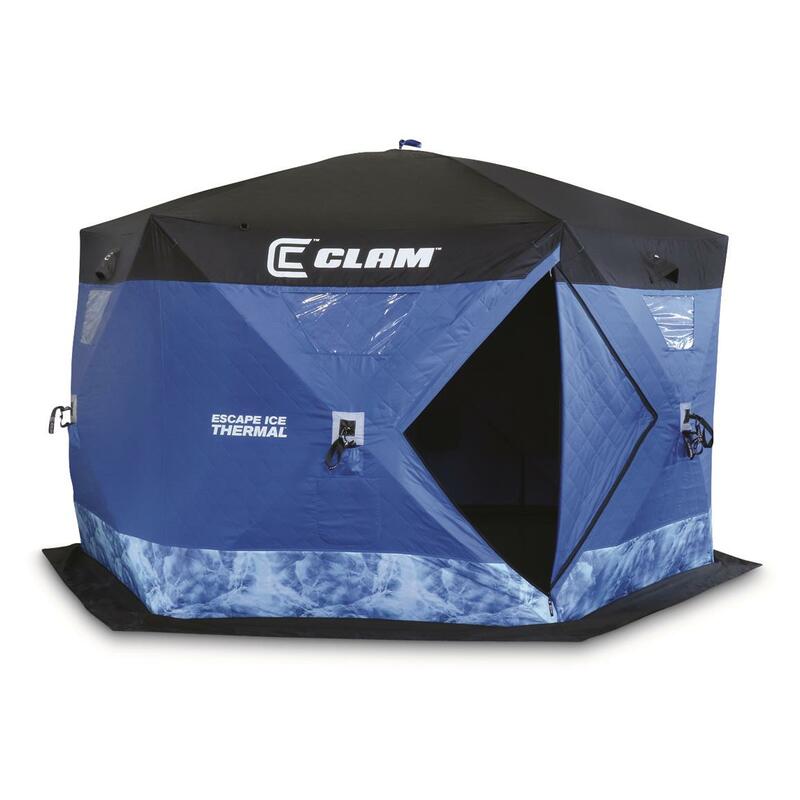 The ClamTM Escape Thermal Ice Fishing Shelter has elbow room for your whole crew. Quickly set up a fishing home base with superior hub assemblies supported by flex-tested 11mm poles and covered with super tough 900-denier fabric. Inside, a generous 94 sq. ft. of fishable area comfortably accommodates 5 to 7 anglers. Plus, the whole works packs down to a compact size to fit easily in an oversized carry bag. Full Thermal Trap Technology retains heat and reduces condensation. You'll also be able to withstand even the most wind-swept days thanks to spots for six Ice Anchors (not included) and an oversized skirt for ample snow banking. Scout your lake, gather your gang and plan for your Escape inside this comfortable, portable ice shelter. Pack size: 14" x 14" x 74"l.